The Puritan fathers in Boston were joyfully relieved by the arrival of the Lyon from Bristol, England, on Feb. 5, 1631 for two reasons: The ship carried Roger Williams, a Puritan minister who could help preach, and it brought bread to feed the hungry population. The Puritans were soon disappointed with Williams, who came to Massachusetts Bay Colony to escape the corruption and intolerance of the Church of England. He and his wife Mary had already decided to join the Separatists, who insisted on independent local churches. The Williamses arrived in Boston after a tempestuous 66-day voyage. The Rev. 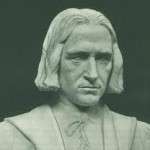 John Wilson was anxious to return to England to fetch his wife, and Roger Williams was asked to replace him immediately. Williams shocked them by refusing. The church, he said, was unseparated. 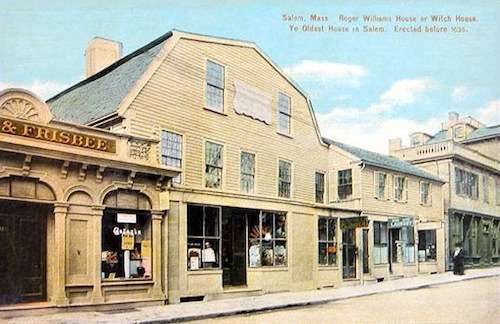 The Salem church, more inclined to Separatism, invited Williams to preach there. The Boston Puritans objected. Williams went to Plymouth, where he again fell into disfavor. He returned to Salem. Williams liked and trusted the Indians. In Salem, he openly questioned the validity of the colonial charter that claimed their land. That infuriated the authorities in Boston, and they summoned him to appear before the General Court -- several times. Finally they ordered him removed from his position in the church. At the same time, the Town of Salem was asking the General Court to annex some land on Marblehead Neck. The General Court refused until the church removed Williams. Williams' support crumbled. He withdrew from his post, meeting with a few devoted supporters in his home. Williams led a band of outcasts 105 miles over the snow and across the Seekonk River to Narragansett territory. Williams believed Indians should be paid for their land, and so he bought property from two sachems, Canonicus and Miantonomi. With 12 ‘loving friends’ he established a settlement called ‘Providence,’ because he believed God's Providence brought him there. The settlement was based on principles of religious toleration, separation of church and state and political democracy. It became a refuge for people persecuted for their religious beliefs: Jews, Anabaptists and Quakers. Williams tried to prevent slavery from taking root in Providence Plantations, making him North America's first abolitionist. Hear that people ? “Forced worship stinks in god’s nostrils ” amen to that ! 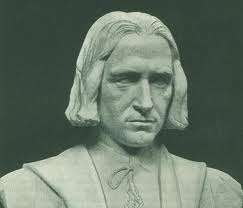 Roger Williams was my 10th Great Grandfather and John Coggeshall …first President of the colony who was part of his entourage…was my 9th Great Grandfather. Could not be prouder of my ancestry. My ancestor Canonicus ( 15 generations back ) knew him. Cool”! Roger bought land from him ! 8XGGF John Sheldon was one of Roger Williams radical followers! The statue of Roger Williams at Roger Williams University is actually Ted Williams because when the statue was built, nobody knew what Roger looked like. Where is that house? It’s not the Witch House. I went there so much history and gorgeous places! Love it!